Upon arrival, we meet our guide and transfer to the hotel. Dinner own our own. 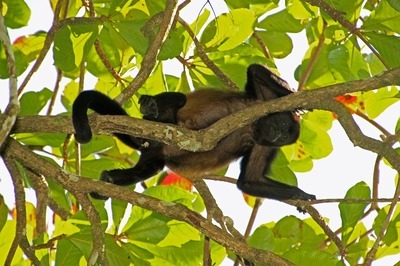 Boat tour through the canals of Tortuguero National Park- Explore the rainforest, the trees, the animals, wildlife, sea turtles, crocodiles and other animals in this fantastic and exotic adventure and nature tour. Regular boat transportation by Pachira Lodge. Regular land transportation to Guapiles by Pachira Lodge. 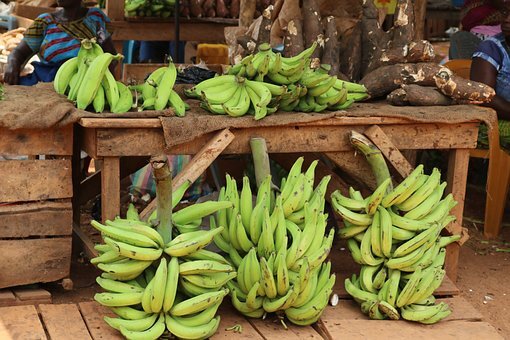 Guapiles is in the heart of Costa Rica's banana growing region. Guided Private Transfer from Guapiles– Arenal area. Overnight Lodging at Arenal Manoa Hotel Standard Rooms. Share with a Costa Rican family in local culture, traditions, customs and authentic life experiences, with the Gonzalez Family, during an Organic Coffee Tour at their family-owned farm. 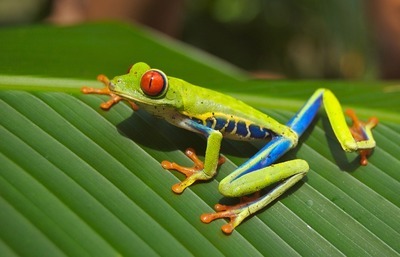 Learn about the coffee production in Costa Rica who played a key role in the country's history and still very important for the Costa Rican economy. 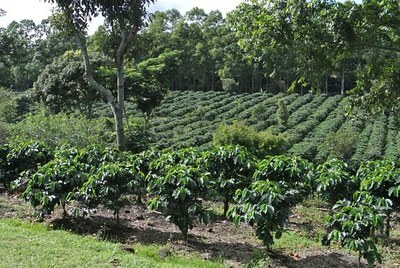 Take the opportunity to visit the Organic Coffee Farm at just 2 km from La Fortuna, San Carlos. Arenal Vida Campesina is a model of sustainable agriculture where you can enjoy detailed information of our coffee cultivation. 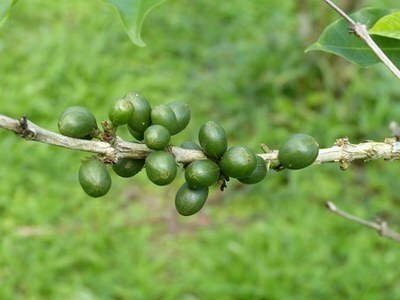 Learn about the history of coffee in Costa Rica (considered one of the best in the world), particularities of the Costarrican coffee cup and join us to learn about the process of coffee. As the afternoon ends, enjoy a guided journey of our property and gather for yourself the tubers, fruits, and vegetables that have been organically produced. Mill and enjoy a delicious juice of sugar cane squeezed in our handmade trapiche. 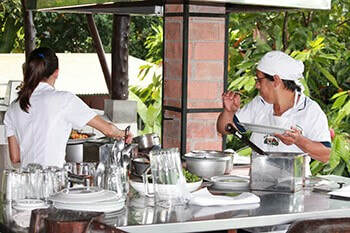 At our restaurant, La Guaria Morada, be part of our classes of Costa Rican typical cusine. 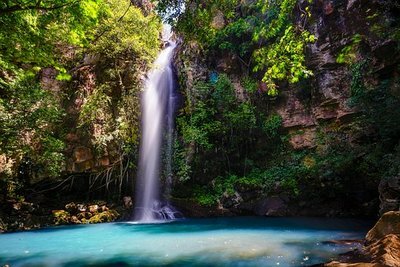 Learn how to prepare traditional recipes and share with a Costa Rican family rural, typical dances and enjoy a family dinner. Visit our cultivations both traditional and not traditional. Gathering of tubers, vegetables and beans. Mill of cane of sugar in the troja The Trapiche. Visit the leaf-cutter ant farm. 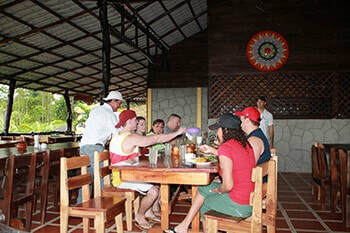 Preparation classes for a typical peasant dinner in el Restaurante La Guaria Morada. Chocolate Tour-With the view of the majestic Arenal Volcano in La Fortuna of San Carlos, enjoy the sweetest rainforest experience, discovering the ancient secrets of chocolate: from its discovery and use, in tropical America, to the processing of the product we know and enjoy today. Considered as "a gift of the Gods", the cacao tree was very important to the ancient culture, it was not only used as a ceremonial drink, but its seeds were also used as currency because of its economic value , in many regions of Mesoamerica, including Costa Rica. 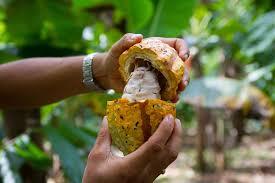 In this 1.5-hour “hands on” program, you will have the opportunity to learn interesting aspects of cocoa and chocolate, from its origin and history, participating in all the production process, from the harvesting of the fruit, drying and grinding of the seed, also the developing of the traditional drink of our ancestors, and of course enjoying a high quality organic chocolate. Optional Catamaran cruise to complete the trip-Silently glide along Costa Rica’s Gold Coast while passing some of Guanacaste’s exotic bays, white sand beaches and tropical jungles. Gaze off the bow with a cold tropical drink prepared and served by our crew as you scan the seas for dolphins, sea turtles, flying fish or even a breaching whale. Stop in a tranquil bay, drop anchor and frolic in the blue Pacific. Snorkel in the bay or run down the deserted white sand beach while the ever helpful crew prepares a feast of chicken or pasta salad, fruit, chips, pico de gallo, guacamole and homemade chocolate chip cookies. The Catamarans will set sail and you will hear the waves slide along the giant catamaran as the sun sets, illuminating the clouds left in the sky. Bring your camera and capture the moments.